You can remove semalt.com and other spam referrers your Megalytic reports using filters. 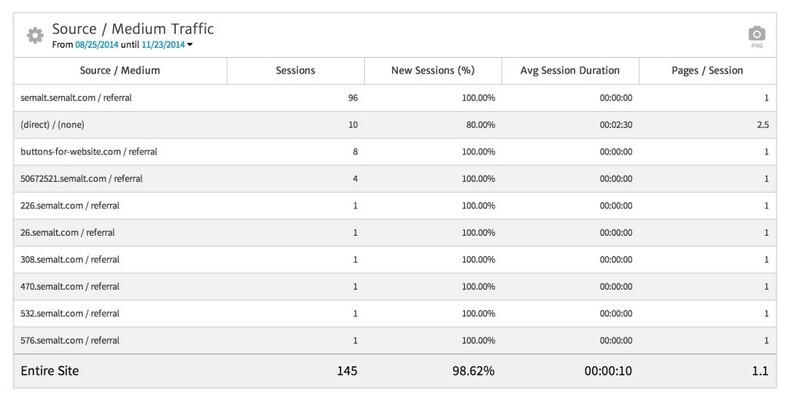 Here is an example of the Source/Medium widget for a website getting hit with a lot of spam-referrer traffic. 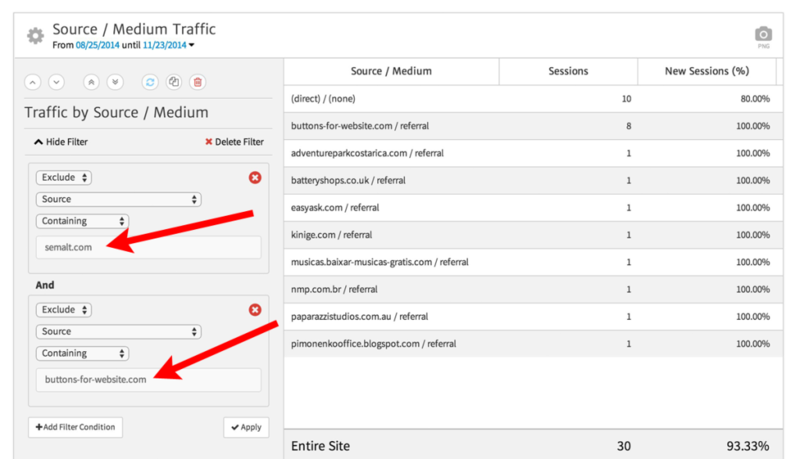 To remove this traffic from the widget, use a filter like the one shown below to exclude the spam-referrers. You can create a filter condition for each domain that is hitting you with spam referral traffic.